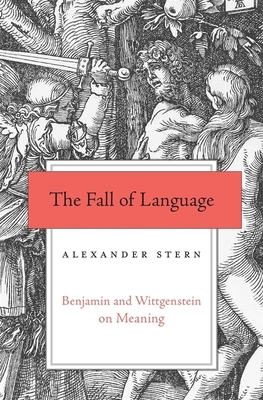 In the most comprehensive account to date of Walter Benjamin's philosophy of language, Alexander Stern explores the nature of meaning by putting Benjamin in dialogue with Wittgenstein. Known largely for his essays on culture, aesthetics, and literature, Walter Benjamin also wrote on the philosophy of language. This early work is famously obscure and considered hopelessly mystical by some. But for Alexander Stern, it contains important insights and anticipates--in some respects surpasses--the later thought of a central figure in the philosophy of language, Ludwig Wittgenstein. As described in The Fall of Language, Benjamin argues that "language as such" is not a means for communicating an extra-linguistic reality but an all-encompassing medium of expression in which everything shares. Borrowing from Johann Georg Hamann's understanding of God's creation as communication to humankind, Benjamin writes that all things express meanings, and that human language does not impose meaning on the objective world but translates meanings already extant in it. He describes the transformations that language as such undergoes while making its way into human language as the "fall of language." This is a fall from "names"--language that responds mimetically to reality--to signs that designate reality arbitrarily. While Benjamin's approach initially seems alien to Wittgenstein's, both reject a designative understanding of language; both are preoccupied with Russell's paradox; and both try to treat what Wittgenstein calls "the bewitchment of our understanding by means of language." Putting Wittgenstein's work in dialogue with Benjamin's sheds light on its historical provenance and on the turn in Wittgenstein's thought. Although the two philosophies diverge in crucial ways, in their comparison Stern finds paths for understanding what language is and what it does.